Raymond Pascoe had his GoPro camera for 5 days when he stuck it in the water off in North Queensland, Australia. He and his partner were enjoying the day, taking a break from fishing, to hand-feed gentle lemon sharks in the crystal-clear water. Pascoe slid his camera below the surface to catch all the underwater action. Eventually, the video shows the lemon sharks swim away as a group of bull sharks come into view. One bull shark thinks the camera might be food, then approaches and takes a bite. The video shows the inside of the shark’s mouth and its many rows of teeth. While the viewer’s attention may be drawn to the teeth and gills, several parasites can also be seen inside the shark’s mouth. It appears the shark has a type of parasitic copepod attached to its mouth. This type of parasite is also known to spread to the gills and fins of the sharks. “Parasites are on nearly all animals. Even some parasites have parasites!” according to shark researcher Michelle Wcisel. “Large sharks are home to many species of copepods which do not seem to negatively affect them in any way. Because Pascoe released his UK-PRO pole when the shark bit, the camera eventually floated back to the surface and provided some unique shots of the copepods. 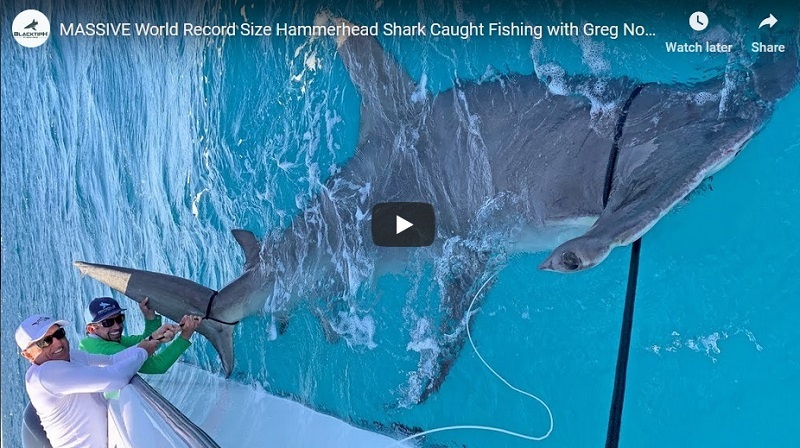 Had Pascoe held onto the pole, the shark may have taken off with the camera and he would have missed the brilliant footage he’d taken at Swains Reef National Park. Amazingly, the camera seems relatively undamaged, although the exterior housing has several distinctive tooth-shaped slices.